This is an important notice to anyone who is using the Amazon Fire TV stick and had the Firestarter installed on it by me. You may have noticed when you tried to use your Amazon Fire TV stick it takes you to the Amazon Registration page and you can’t get past that. That’s because Firestarter is NO LONGER on your Amazon Fire TV stick. What happened? Last week Amazon began automatically updating the Fire sticks. And with this update they have been wiping out Firestarter and there is NO way to get this back on. I tried re-installing it on my stick but it would not install. If you haven’t had this problem yet, you will soon! Amazon is gradually updating the sticks and will get to you if they haven’t yet. And there is NO way to stop this. The only way around this and to use Kodi is to register your Amazon Fire TV stick with an Amazon account. If you already have an account, you can use it. If not, then you will need to sign up. Once you do then you can continue to use Kodi. Kodi has NOT been altered or deleted in any way and should be the same as you had it. 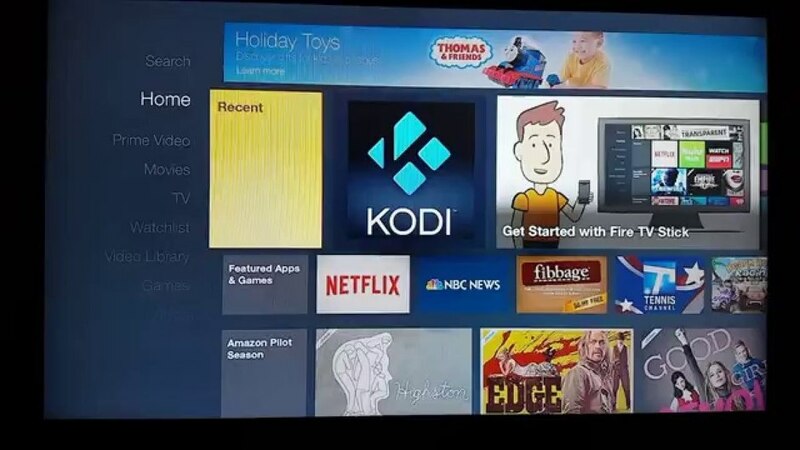 After that, you should now have a shortcut for Kodi on the Amazon HOME page under RECENT. Click on that from the HOME page and you’re good to go! If you’re good with this then you don’t need to worry from here on end and you can continue to enjoy Kodi on your Amazon Fire TV stick. There is a developer who is working on restoring Firestarter to get it back the way it was before but not sure if and when that will happen. In the meantime, register your Fire stick and enjoy! Please note, this Amazon update is beyond my control!